One of the most beautiful friendship e-cards is here for you to send to your friends. Friends make our world beautiful. Without them our life would be dull without entertainment. Friends are there to care and share. 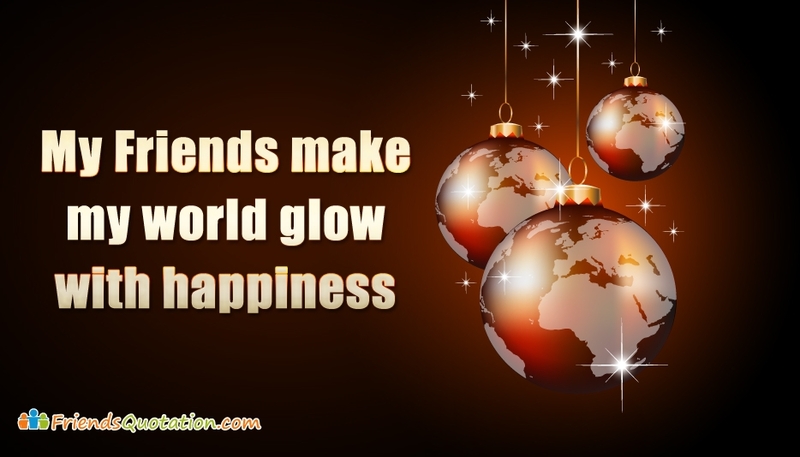 This feeling of friendship is beautifully portrayed in this freindship quotation e-card with the words "My Friends Make My World Glow With Happiness" and the background image of glowing bulbs portrayed as worlds. Send this e-card to your dear friends and let him know that your world glows because of them.